Working on decor for an upcoming wedding. The space has several large panoramic windows, which we will be dressing with these shabby chic picture lines. I took apart an old wood pallet and used a wood burner to incorporate the bride's "wedding words" (which will be the table "numbers"). 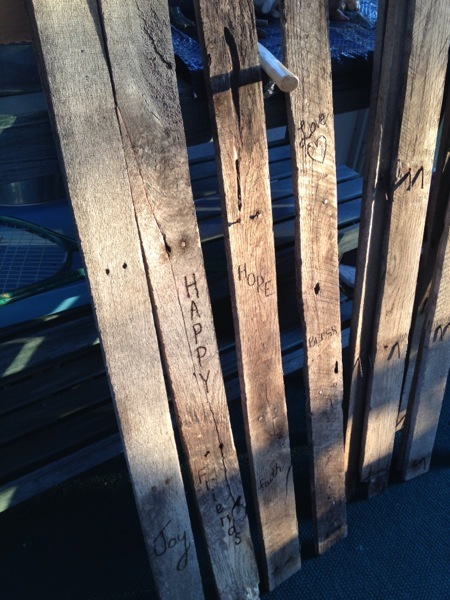 Between these boards will be rows of pictures of the couple and their families by clothespins and twine.